In 1824, the Leipzig organist and teacher named Ernest Anshults created one of the most famous Christmas songs - «O Tannenbaum (translated from German -" O Christmas Tree! "). Melody it was based on old folk motif and the words date back to 1550 year. Today, there are two versions of the German words and two of the most famous translation into English (translations are quite witting, their meaning and style of the original version has been substantially altered). Popular Russian translation existed in the XIX century and is now considered lost. 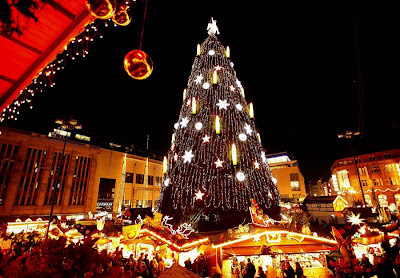 A song praising the beauty of the Christmas tree, glowing colorful lights and decorated with wonderful ornaments, remains valid to this day - we suggest you look at the most beautiful Christmas trees, shone in all the cities of the world in anticipation of the approaching Christmas. 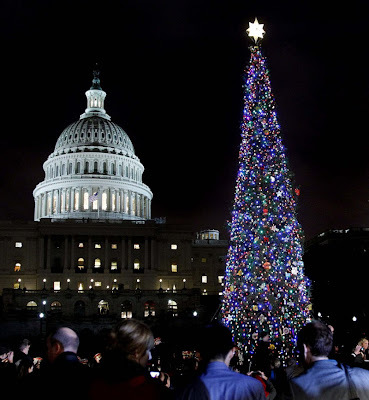 And though not all of these trees are real, after all, artificial trees are becoming more popular - but each of them gives a sense of celebration and wonder. 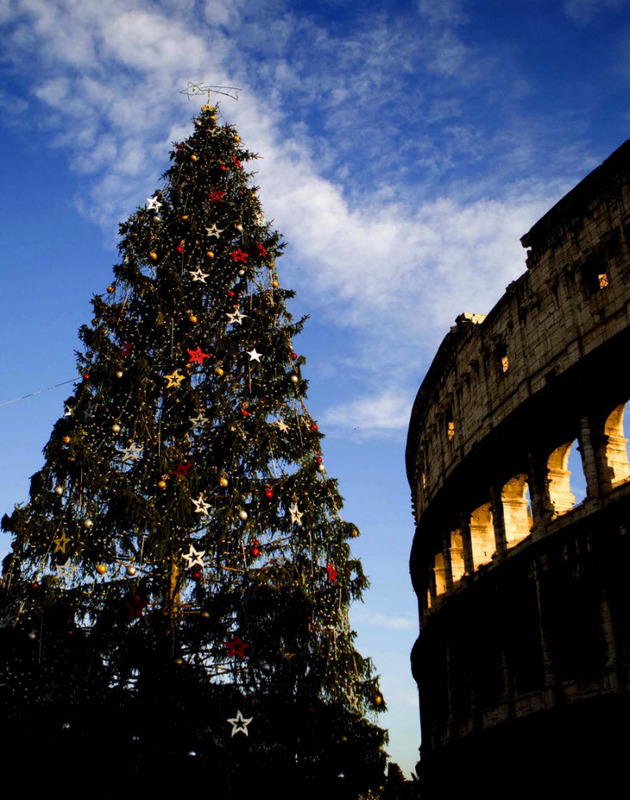 2.Dressed Christmas tree in front of the ancient Colosseum in Rome. 3. 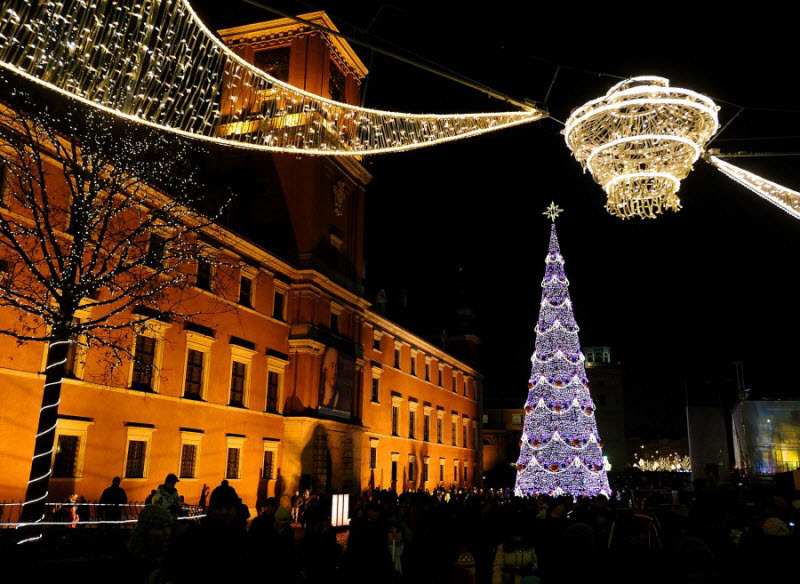 Christmas tree in the main square in Ljubljana, Slovenia. 4. 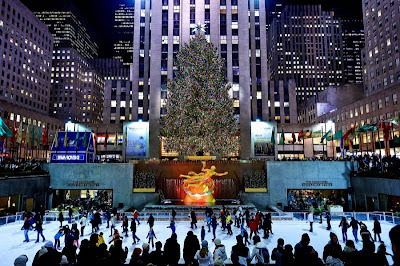 Christmas tree and skating rink in front of Rockefeller Center in Manhattan. 5. Giant Christmas tree in the center of Galeries Lafayette, the famous shopping center of Paris. 6. 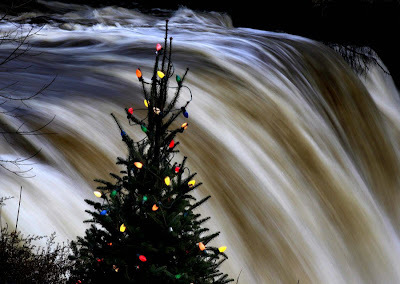 Dressed Christmas tree in the background and the eponymous river Shagrin Falls, Ohio. 7. 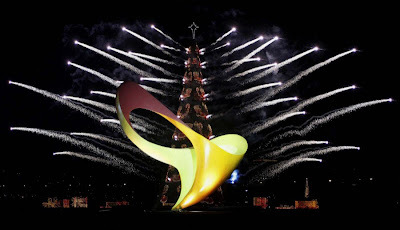 Fireworks explode over the 85-meter floating Christmas tree in the Rodrigo de Freitas Lagos. 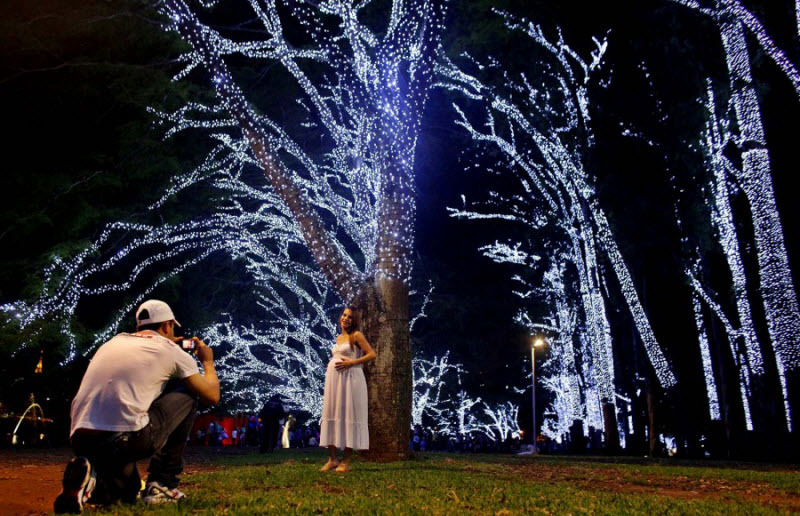 It is the lighting of the Christmas tree lights on this Christmas marks the beginning of the festive season in Rio de Janeiro. 8. 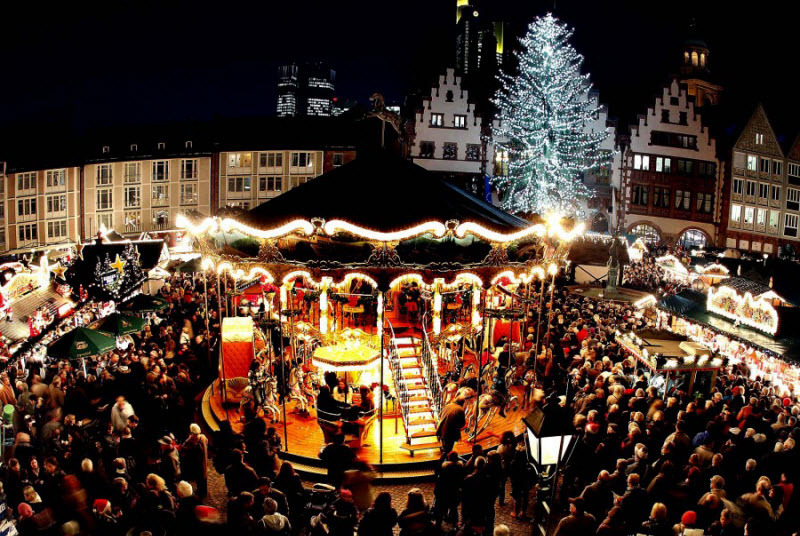 Hundreds of people gathered at the traditional Christmas markets in Frankfurt, Germany. 9. Dressed Christmas tree in the center of Christmas fair in Dortmund, Germany. Tree height is 148 feet high, apparently, is the highest Christmas tree in the world. At its creation in 1700 out of Norwegian spruce. 10. 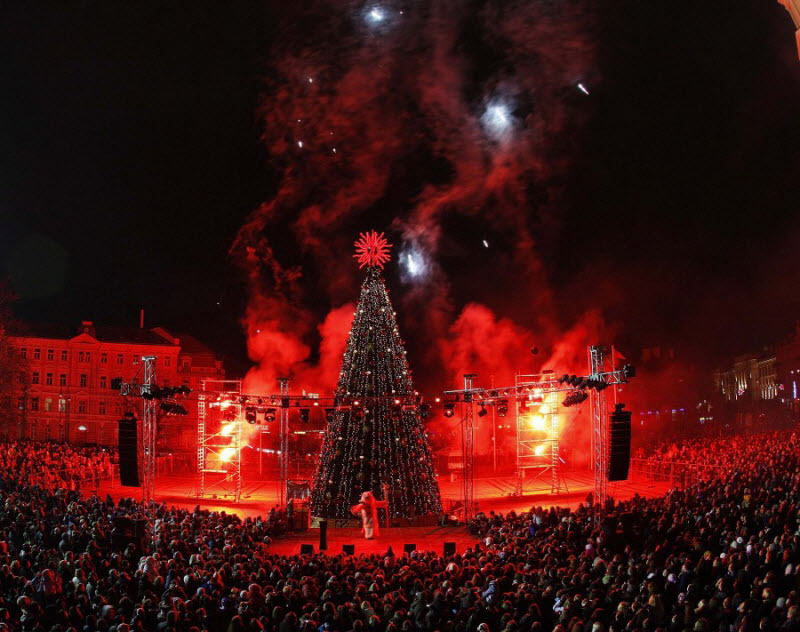 Fireworks explode in the sky during a ceremony to light the Christmas tree lights on Cathedral Square in Vilnius, Lithuania. 11. 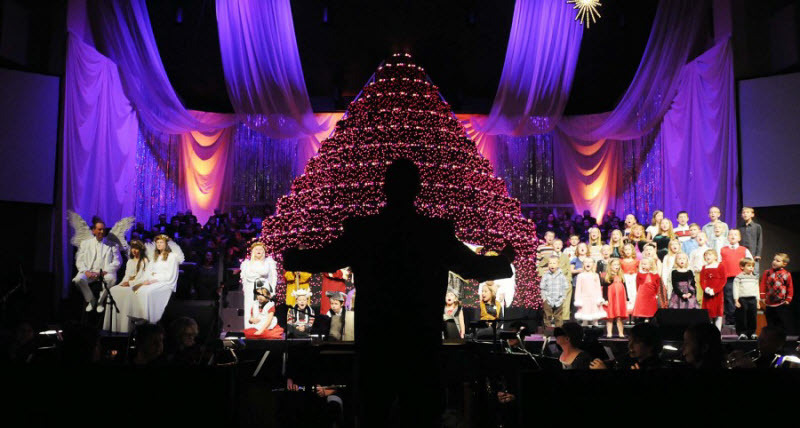 The conductor gives the signal to the orchestra during the beginning of a gala concert in 2011 Living Christmas Tree in Nampa, India. "Live" Christmas tree light up more than 100,000 lanterns, and during the concert, she was constantly changing. 12. Fireworks explode in the sky during a solemn ceremony to light the lights on the Christmas tree in Beirut, Lebanon, marking the beginning of the Christmas holiday season. 13. 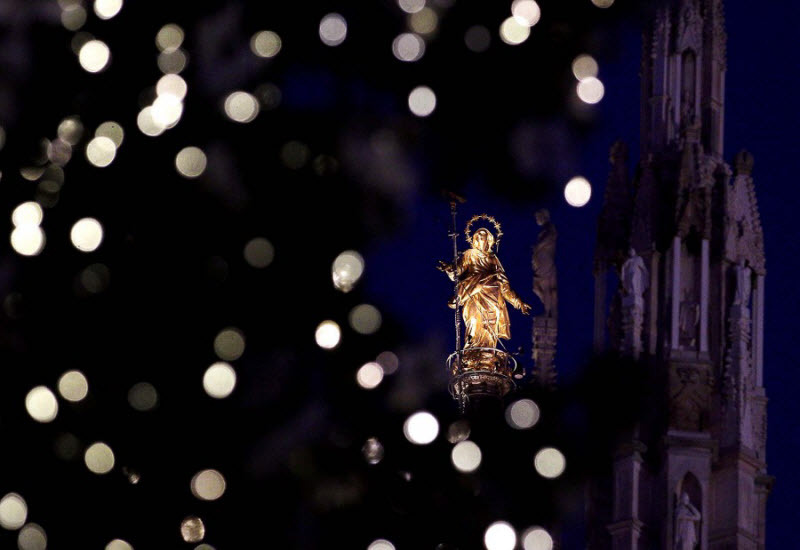 A statue of the Blessed Virgin Mary Catholic cathedral is crowned in Milan, Italy. 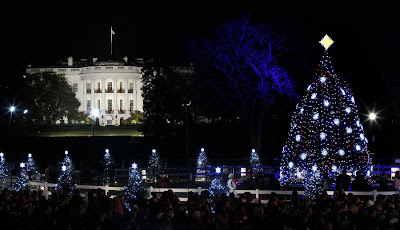 In the foreground - the Christmas tree lights. 14. 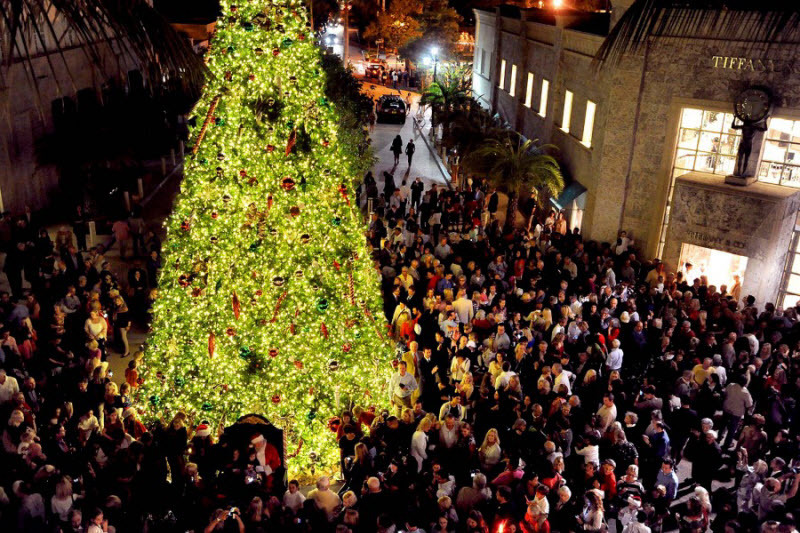 Hundreds of people gathered for the ceremonial lighting of the lights on the Christmas tree in Palm Beach. 15. 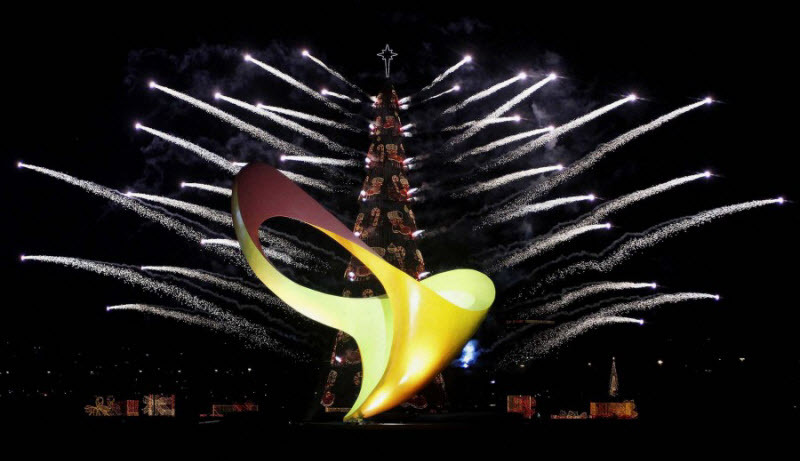 Logo of the Paralympic Games in Rio in 2016 against the background of feyreverka and Christmas tree in the Rodrigo de Freitas in Rio de Janeiro. 16. 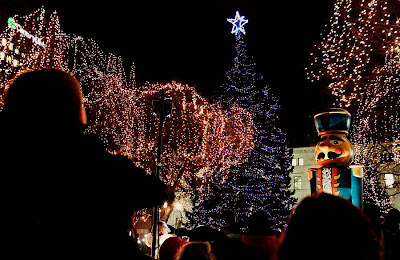 Far Niente Winery in holiday illumination (left). 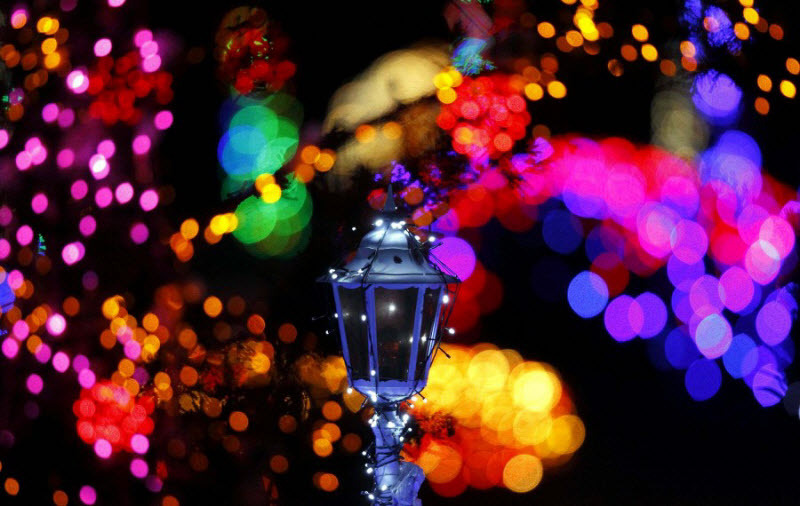 Right - the palm of holiday illumination at the entrance to the distillery St. Supery Vineyards and Winery. 17. Christmas tree in Castle Square in Warsaw. 18. Zlatko Horvat Salei for nine years in a row at Christmas decorate his estate in an area of ​​seven hectares of colorful illuminations and Christmas sculptures. This time he used to decorate more than one million bulbs and five kilometers of cable. The preparation took more than six months. 19. 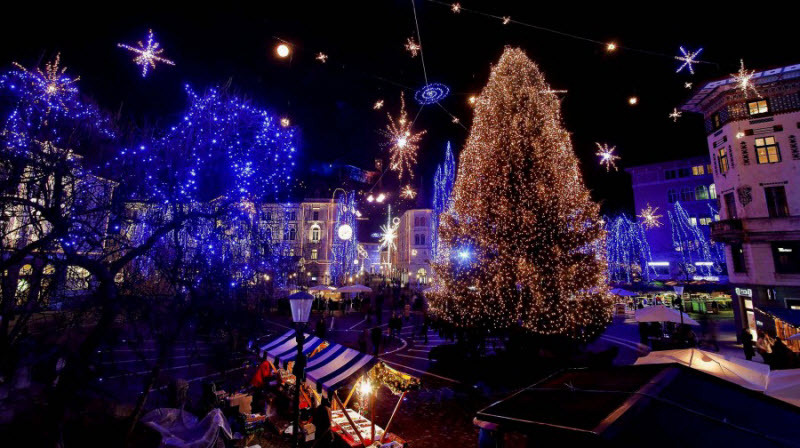 Decorated with Christmas illuminations house in a village near Calais in the German city of Bremen, located in the north. The inscription reads: "Happy Christmas". 20. 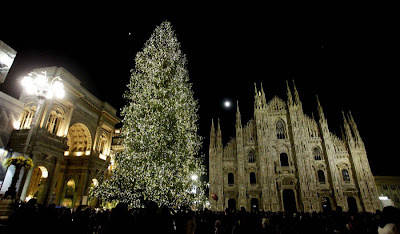 Christmas tree in front of the cathedral in Milan, Italy. 21. 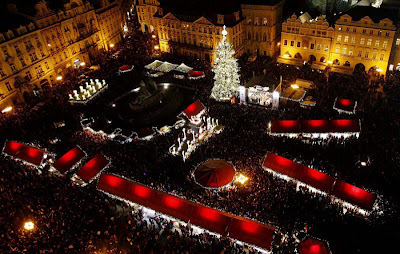 Christmas tree in the central Old Town Square in Prague, Czech Republic, where the Christmas market. 22. 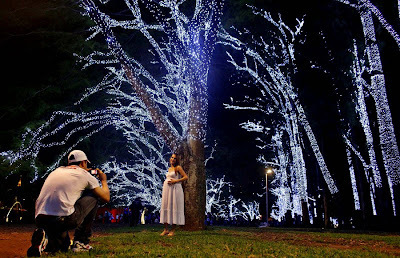 Man photographing his pregnant wife for Christmas decorated with illuminated trees in the park Ibirapuera in Sao Paulo, Brazil. 23. Christmas illuminations in the Botanical Garden Daniel Stowe Botanical Garden near Belmont, North Carolina. 24. 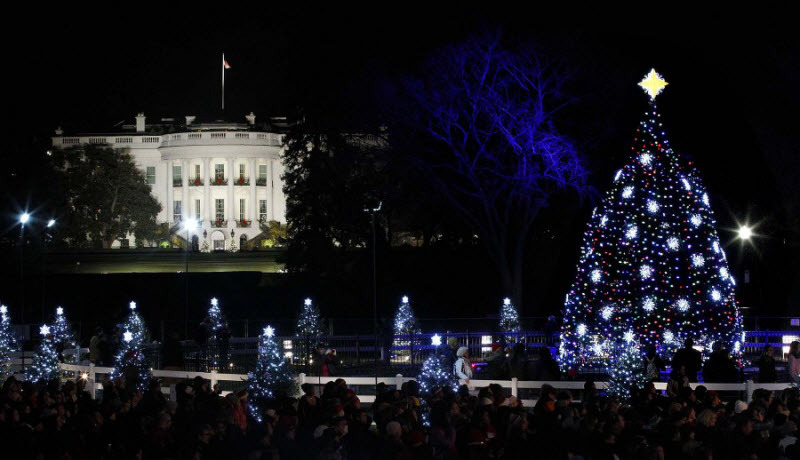 The National Christmas Tree in front of the White House. 25. Capitol Christmas tree, December 6. 26. 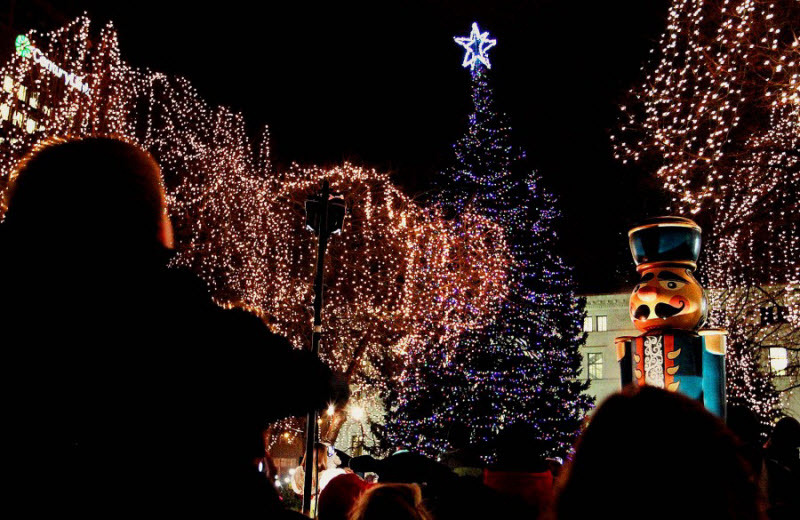 Christmas tree in the park of Saint Paul, Minnesota. 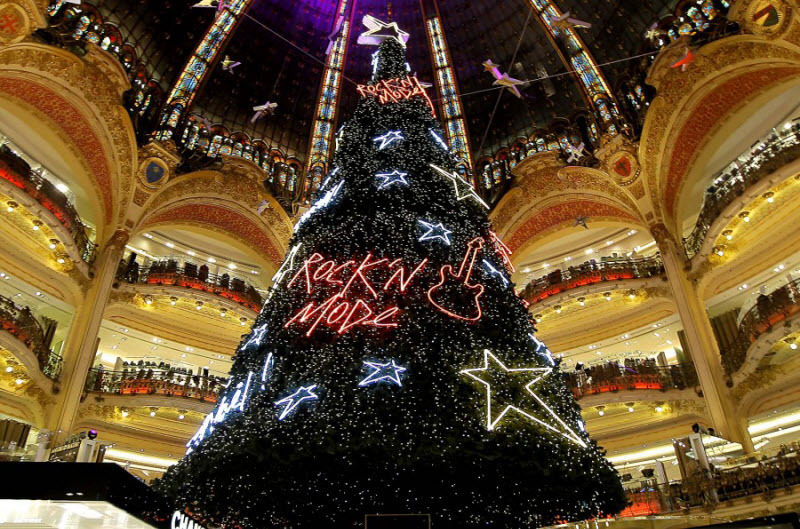 Christmas tree decorated with 15 thousand energy efficient light bulbs. 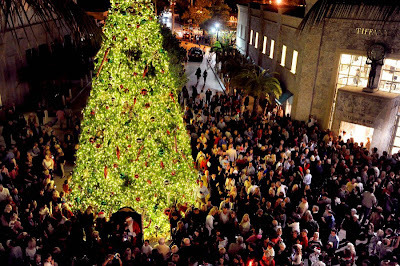 Tree height is 70 feet, it was planted in the late 1920s, Ray and Anna St and later donated to the city.